OMDC has launched a call for applications for the OMDC Film Fund. This fund is intended to increase the level of indigenous feature film production in Ontario. This program provides support to Ontario producers for feature film projects in the final stages of development and production financing. Canadians are among the winners at the 2015 Academy Awards. Canadian sound mixer Craig Mann has won an Oscar for his work on the intense drumming film Whiplash. The 38-year-old claimed the sound mixing Academy Award along with co-nominees Ben Wilkins and Thomas Curley. Now L.A.-based, Mann spent years assisting the industry’s top sound mixers in Canada and the United States before deciding to become a mixer himself years ago. 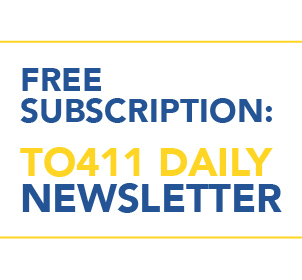 Starting Monday February 15th and continuing throughout the next several months, TO411 publisher Tom Reid is pleased to announce the launch of “Insider” Video Roll-Out campaigns on TO411Daily.